I had the distinct pleasure of meeting Gilbert “Gilly” Bosomtwe in February when he contacted me with a few questions about the world’s largest online marketing competition, the Google Challenge (GOMC). 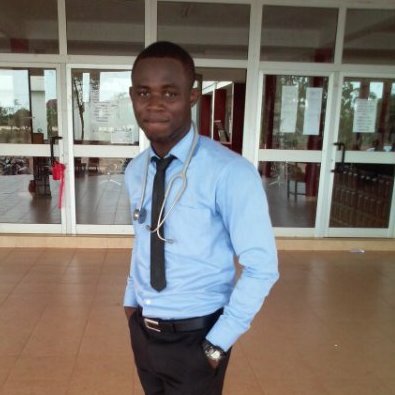 Gilly was serving in the role of Team Captain for his own GOMC team while also managing two other teams at the University for Development Studies in Ghana, Africa. He also worked as a former Google Student Ambassador from 2013-2014 at his college. Over time, our mentoring relationship turned into a virtual friendship as we communicated via email about the GOMC. Gilly always had great questions and fortunately I was able to answer most of them! Over 2,100 teams participated in the 2016 GOMC. In the end, Gilly and his amazing team were designated as a Semi-finalist, ranking as the #2 team in Ghana and #13 in the Middle East & Africa Region! I wish to extend congratulations to Gilbert K. Bosomtwe, Silas Kotoku, Priscilla Sasu, and Mohammad Ali Katu for their stellar performance. 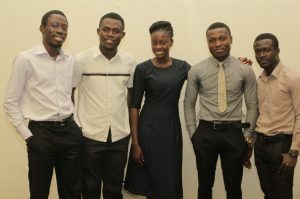 The team competed in the 2016 Google Online Marketing Challenge (GOMC) under the direction of Francis Dittoh who serves in the role as ICT lecturer and university webmaster. I thoroughly enjoyed working with Gilly and wish I could have done more in a mentoring role that spanned two continents.